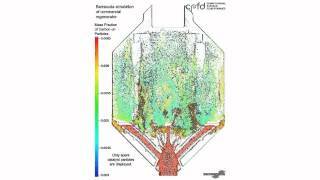 Albuquerque, NM – December 15th, 2016 - CPFD Software, LLC today announced the latest release of Barracuda Virtual Reactor®, engineering software for simulation and analysis of the operation of fluidized bed reactors and other gas-solid systems. The latest release of Barracuda Virtual Reactor (version 17.1) is now even faster - delivering simulation results in a shorter time. 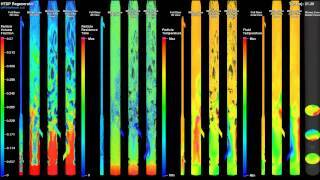 Other enhancements include new and improved methods for handling boundary conditions enabling faster model set-up and easier control of bulk particle dynamics across model boundaries, and expansion of thermal and chemical kinetics modeling capability. 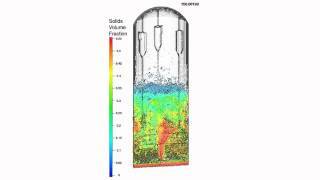 With this release CPFD continues to advance the capability and ease-of-use of Virtual Reactor™ helping engineers meet the challenges of designing, troubleshooting and optimizing the performance of fluidized bed reactors and other industrial gas-solid systems. Barracuda Virtual Reactor is specialized CFD (Computational Fluid Dynamics) simulation software used by leading engineering service providers, OEMs and manufacturers worldwide in oil refining, petrochemical, energy, and minerals processing industries to design, troubleshoot and optimize industrial fluidized bed reactors (FBRs) – improving profitability and competitive advantage through improved equipment performance, lower warranty risk and rework, higher yields, lower operating costs and longer up-time. 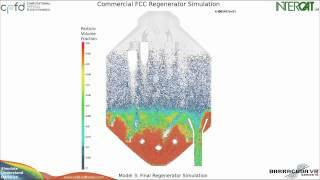 CPFD Software is the leader in CFD simulation of large-scale gas-particle systems. 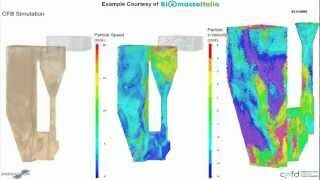 We are highly focused on providing engineering simulation software tools and solutions to industry. Our software is designed specifically for use in engineering design and optimization of fluidized bed reactors, one of the most widely used processes in oil refining and manufacture of petrochemicals, and also in the clean energy sector in production of electricity, gas and liquid fuels from coal and biomass. The core technology has application in many other industries, helping in reduction of energy costs and emissions and improvement of process efficiency and profitability. [Barracuda Virtual Reactor results communicate] in such a manner that everybody can actually see [inside fluidization units] with their own eyes... They can see it for themselves and it's not a biased view. There's no bias in numbers. It's there, it's black and white, right and wrong, and it's there for everybody to see. I love the stuff.